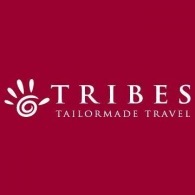 All Tribes tours, river cruises, expedition cruises, and adventure trips. Find the best guided trips and expert planned vacation and holiday packages. Average rating of 5.0 for all Tribes trips. View the incredible spectacle of Victoria Falls. Wildlife viewing in Chobe National Park. Scenic flight into 2 camps in the Okavango Delta. Game drives, mokoro trips and bush walks in the Okavango Delta. The dramatic arid scenery of Nxai Pan. Walks with a bushman guide in the pans.